Pampatar, Margarita Island, Venezuela Hawkins and Drake amicably traded with the Spaniards but none of the narratives named the port. 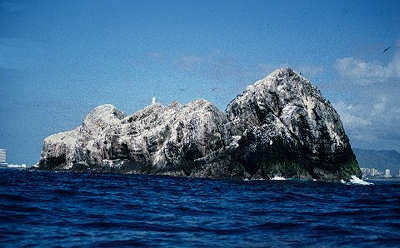 However, the Travailes of Job Hortop state that a mile off the island is a rock covered with birds. Only off the deep water port of Pampatar is there a rock. This is inhabited by pelicans.